I needed to buy some more Christmas cards and quite a few Christmas stamps. 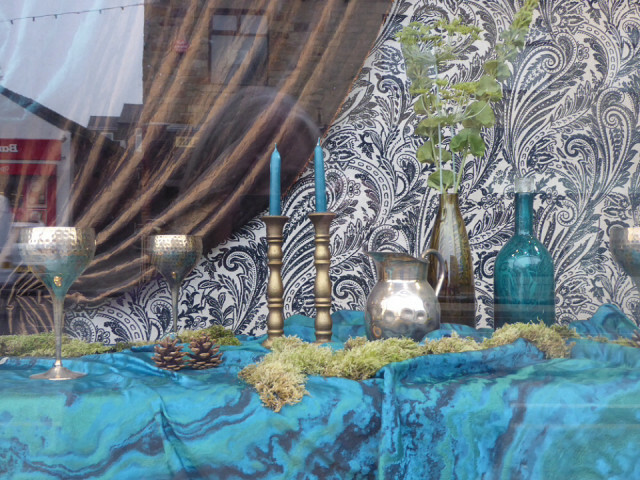 This wallpaper and fabric shop at the end of our street always has an interesting window but I'm really not sure about this one. I think it would put me off my food.